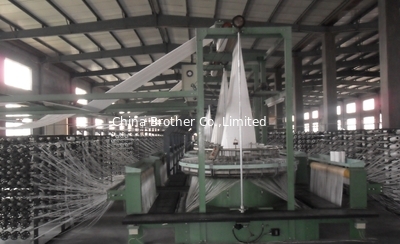 China Brother Co.,Limited is a very professional Chinese manufacturer and exporter of various types of PP woven bags,bulk bags (Flexible Intermediate Bulk Container), BOPP bags, valve bags, plastic bags and other compound packaging materials. Our products are widely used in food industry, chemical industry, agriculture, building industry and so on. We have accumulated rich experience in the packing industry. We can produce reliable and high-qualified products because of scientific management system, advanced production technology, first-class production equipment and perfect detection means we have. Our company runs ahead of the same industry from computer-based design to after-sale service. We can produce products of different specification and purpose according to customers’ requirements and we can also provide assistance to our customers in printing surface and packing design. The quality of our products is well guaranteed all the time and we win our customers’ favour. Our products have been exported to America, Canada, Europe, Australia, Japan, Southeast Asia, New Zealand, South America and so on. We look forward to cooperating with friends from all over the world based on long-term and mutual-beneficial relationship in the brilliant future. 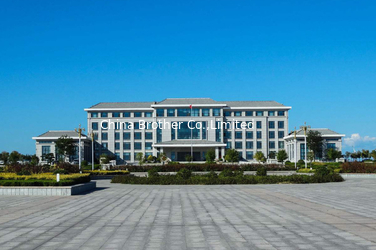 China Brother Co.,Limited was founded in 2010. We have a strong technical team advanced production equipment high quality professional talents and humanizing management concepts and strict quality supervision systems to ensure the procedure can avoid human error. There are professional personnel for detecting the products in order to submit to the standard of environmental protection and providing superior quality printing and packing for various industries. With years of export experience along with excellent quality and advanced services and competitive prices. 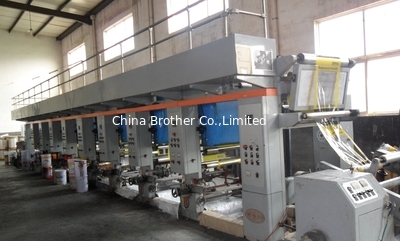 China Brother Co.,Limited has won numerous customers' trust and support. We would be very grateful if we could make a reliable business relationship with you. If you have any requirements please feel free to contact us anytime. We look forward to hearing from your. With many years experience in producing packaging bag. 1. Quality is Our Culture. 7. After Sales Service 24*7. 8. Free Sample Offer. Small Order Welcomed. The production time is 20 - 30 days after deposit. FOB, CIF, CNF is accepted. Our sales network including sales and after - sale service. We guarantee a fast after sales service for the products which are sold to everywhere in the world. 1. With us your money in safe, your business in safe. 2. We are ready for sign secret contract. 3. We are one of the white hair of packaging bags business. 4. Free sample offer and small order can be accepted. 5. After Sales Service 24*7. We’re committed to develop long term win-win mutually beneficial relationships with our partners. Determination to guarantee that every customer is 100% satisfied with the packaging products and services. From the time of our initial contact with you until the time you purchase our products, we are more than happy to work with you to provide specific packaging solutions and assistance for any questions you may be concerned with. We efficiently consult with the customer, analyze the requirements, providing the best possible solution and pricing to deliver the right packaging bags. We also offer a valuation process where we look for opportunities for improvement, a free comparison of the bags you currently use vs. our bags.